OUR Center’s vision for a larger, consolidated facility is based on the projected needs of the community for the next 25 years. Our vision has been driven by compassion to serve the increased number of people in the greater Longmont area who are struggling to stay in their homes, keep the heat and lights on, and put healthy food on their tables as they work toward self-sufficiency. This campaign presents a unique opportunity for community members to invest in Longmont’s future and strengthen this community for all of us. 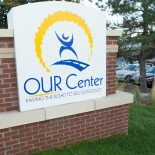 Over the last decade the Longmont area has grown 18% while the OUR Center’s services have expanded anywhere from 118% to 698%, depending on the program. The former configuration with multiple, dispersed buildings made it difficult for our program participants to access the full suite of services they may need to help move them toward self-sufficiency. Consolidating under one roof makes all services easily accessible and more available to all participants. It is also more efficient for staff and volunteers to do their jobs and for donors to drop off donations. 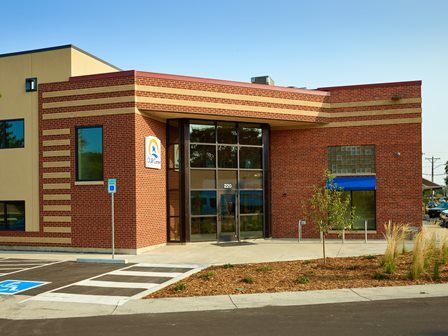 The OUR Center’s former space on Atwood Street consisted of 18,510 square feet in three inefficient buildings. The new space on Collyer is a total of 30,000 square feet, an approximate 62% increase over the current space. Square footage was added on the main floor and a mezzanine level was built. These additions provide flex space for community partner agencies as well as space needed for future OUR Center expansion. The Former Atwood Street Campus – OUR Hospitality Center, OUR Conference Center, and OUR Intake Office were sold to private and nonprofit entities, providing additional campaign funds. Questions? Contact Edwina Salazar at 303.772.5529 ext. 225 or edwina@ourcenter.org.